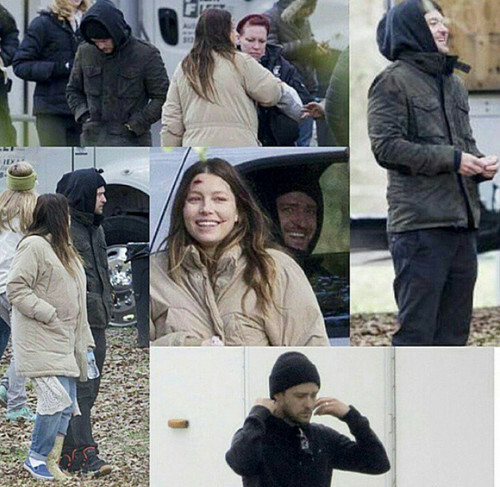 JT visiting pregnant wife Jessica on set (27 Feb 2015). On set of "The devil and the deep blue sea". Wallpaper and background images in the justin timberlake club tagged: photo jt jessica biel justin timberlake cute timberbiel.